Motherless nineteen-year-old Ava has always believed brilliant botanist, Theo Gage to be her father. But when a chance discovery reveals she is not his daughter, her world falls apart. Determined to discover her true identity, Ava impetuously runs away and enlists the help of inexperienced private detective, Zavier Marshall. Pursued by shadowy figures, she takes on a new name and follows in her dead mother's footsteps to work at the mysterious Fun World Holiday Camp. Penniless and cut-off from everything she's ever known, and trapped in a deadly game of cat and mouse with a ruthless criminal gang, will Ava survive in a world where she's more valuable dead than alive? Will she discover the shocking truth behind her mother's death? And will she find her real father before it's too late? The Gardner's Daughter by Hitchins, K. A. was published by Instant Apostle in March 2018 and is our 70347th best seller. 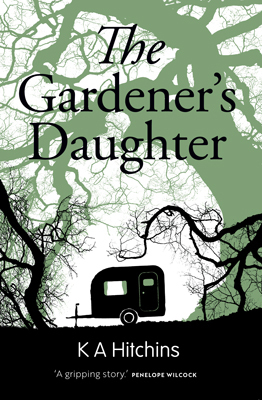 The ISBN for The Gardner's Daughter is 9781909728820. Be the first to review The Gardner's Daughter! Got a question? No problem! Just click here to ask us about The Gardner's Daughter. Author / Artist Hitchins, K. A.